Girls outfit for summer. This is the perfect summer dress! 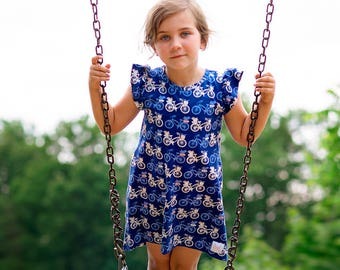 This girls' summer dress is made from a soft knit fabric in a beautiful shade of purple. It feaures a racerback design with rainbow binding around the arms and neck. The dress had no closures. It simply slips over the head for easy dressing. The circle skirt is perfect for twirling. Just ask my daughters! This is one of their favorite dress styles. The skirt hits just above the knee. 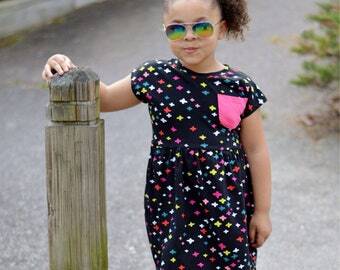 This is the perfect dress for my granddaughter. 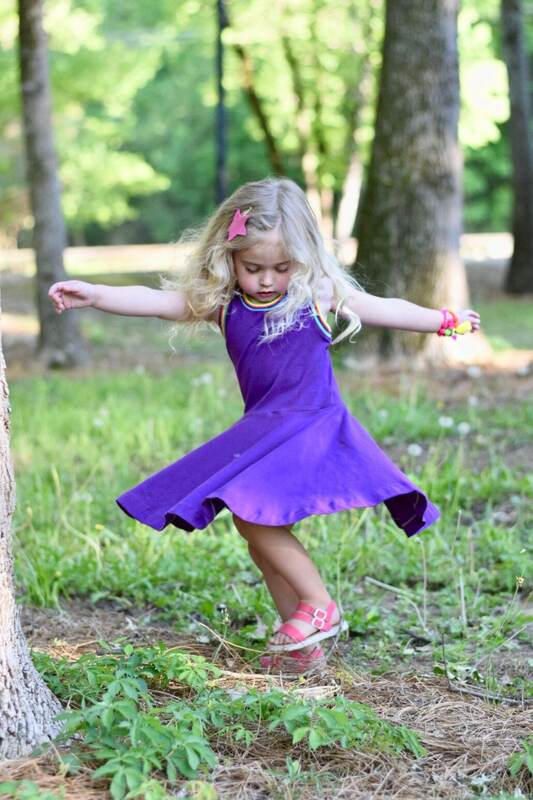 She loves the twirl dress in her favorite color. It is well made, and arrived right on time.